When people head into Red River Gorge, they don’t plan on having an accident or getting lost. But when “nature happens,” calls for help go out to county search and rescue crews. We seek new members on an ongoing basis, and we seek a range of skills and experiences. Want To Help Powell County Search and Rescue? Powell County Search & Rescue is a 501c3 non-profit organization working in the Red River Gorge Geological Area of the Daniel Boone National Forest. 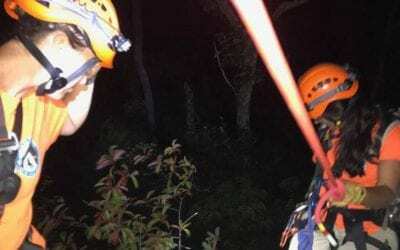 The volunteers of Search & Rescue spend hundreds of hours each year donating their time and talents to rescuing folks from cliffs and rugged terrain. Each rescue is unique and each person we rescue has a story to tell. We invite you to join with us in our mission of saving lives! You can become a valuable part of this effort by helping us accomplish what we are finding to be more and more difficult: funding these rescue missions from our own pockets. Powell County Search and Rescue is a non-profit, all volunteer organization funded entirely through individual donations, and fundraisings. There are many different roles and levels of support – you don’t have to be a world-class climber to provide an indispensable service to the search and rescue community. 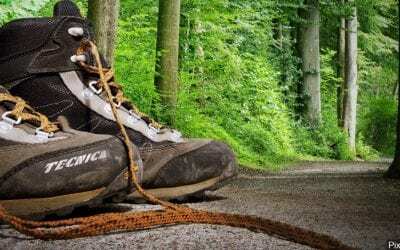 Please consider making IN-KIND material donations to Powell County Search and Rescue. Tax receipts based on the fair market value can be provided. 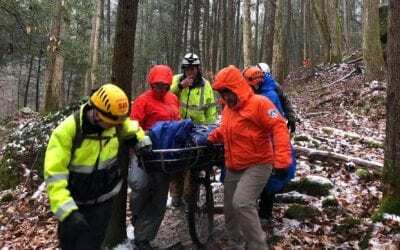 We are an all volunteer, non-profit organization dedicated to aiding persons lost or injured in the back country of Red River Gorge, Kentucky. Your generous contribution to our non-profit organization is 100% tax deductible and could one day save your life or the life of a loved one.